It was an auspicious beginning for the KwaZulu-Natal Herbarium, when in 1882, its founder John Medley Wood organised the storage of over 1500 specimens in a wood and corrugated-iron hut. At that time Wood was the Curator of the Durban Botanic Gardens which had been running since 1849. He regarded the herbarium as an essential facility that would make the establishment a true botanic garden. Wood was fortunate in that he had the support of the governor of the colony, Sir Henry Bulwer who shared a keen interest in the Garden and the herbarium specimens. Governor Bulwer ensured that the Colonial Government took over the responsibility of the herbarium specimens. So, under the Curatorship of Wood, the Colonial Herbarium was born. During the 33 years of his Curatorship, Wood built up the collection of herbarium specimens and the library. He prepared about 13 000 specimens, many of which were distributed by exchange, and only about 6 000 remain in the collection today. Work in the Colonial Herbarium included research (mainly on plant diseases, food crops, plant dyes and fibres and medicinal properties of plants), annual reports, indigenous plant identifications and plant information – very similar to its present functioning except that the current research focus is taxonomy. Economic problems exacerbated by the suspension of a government grant in the last years of the Natal Colony caused the collapse of the Durban Agricultural and Horticultural Society, who had owned the Garden. In 1913, most of the Garden was transferred to the Durban Municipality, but about 0.5 ha, including the Herbarium and Medley Wood’s house was excised at that time and transferred to the Union Department of Agriculture, the following year and the institute was well known as Botanical Research institute (BRI). When Medley Wood died in 1915, he was succeeded as Curator of the Herbarium by Dr P.A. 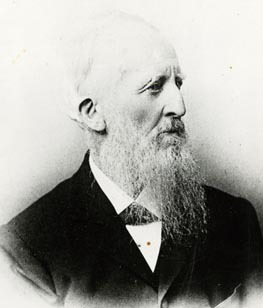 van der Bijl, a noted mycologist. in 1989 BRI merged with National Botanic Gardens to form National Research Institute (NBI) which then later in 2004 became South African National Biodiversity Institute (SANBI). Although plant taxonomy was never completely extinguished in the Unit, the main focus for almost the next 50 years was plant pathology. With the appointment of Mr. R.G. Strey in 1962 as Officer in Charge, and the departure of the last plant pathologists, systematic studies of the KwaZulu-Natal flora based at NH took a new lease on life. A few years later ecological studies were added to the Unit, with the transfer of Dr E. J. Moll from Pietermaritzburg in 1967, followed by Charles Musil in 1971. Regrettably, the ecologists only stayed until 1979. However, the systematic core of KwaZulu-Natal Herbarium has been home, sometime briefly, to distinguished botanists such as Jim Ross, Brian Schrire, Charles Stirton and Marie Jordaan.